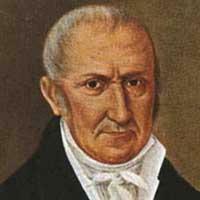 Alessandro Volta (physicist). He/she was born on 18 February 1745, his/her birthplace is Italy, its date of death is 5 March 1827. There is information in Classora Knowledge Base about 3 rankings, reports and surveys. Green color helps you to identify surveys, which are created from the users votes. No comments, yet. Go ahead, you can be the first! You must login before adding a comment. Do it here. Did you know you can compare each Classora related entries? What is Classora trying to build? What is the Classora architecture? Where does Classora information come from? How would you improve Classora? Can I insert Classora contents into my web? Copyright 2008 - 2016 · All Rights Reserved · Classora Technologies S.L.